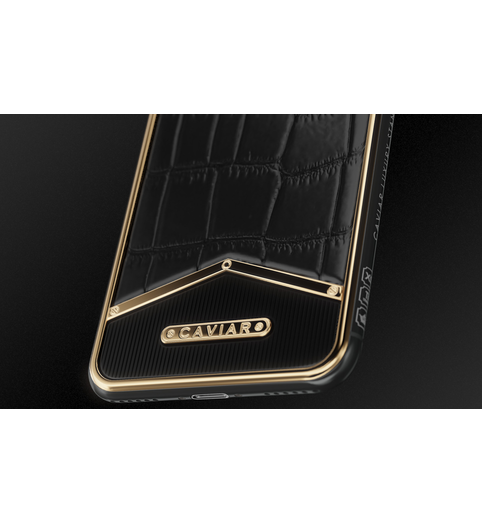 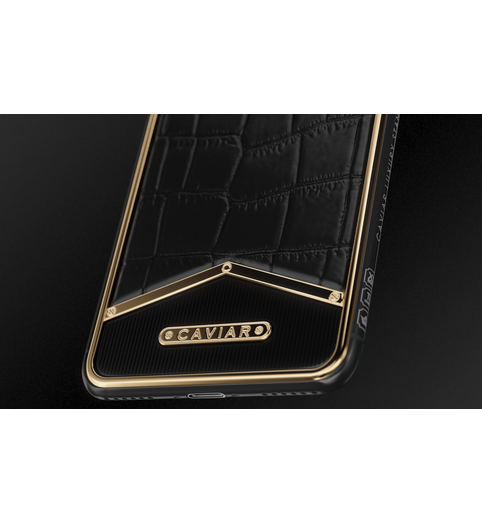 X-Edition Alligator Black Gold Masculinity and charisma, elegance, confidence and an excellent style. 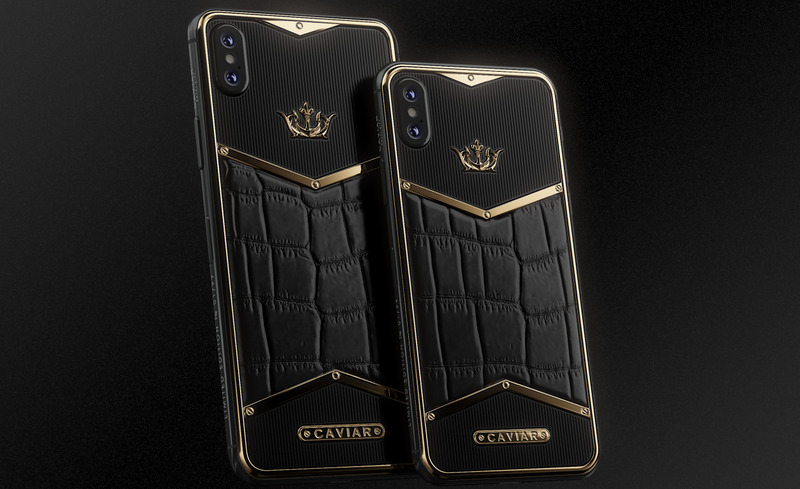 All of this is X-Edition series. 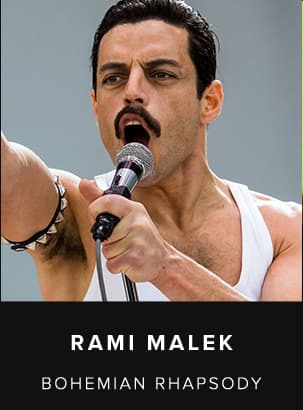 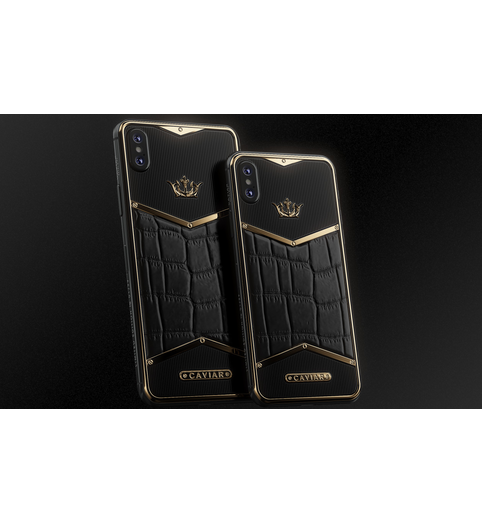 However, each model in this special edition has its own unique character. 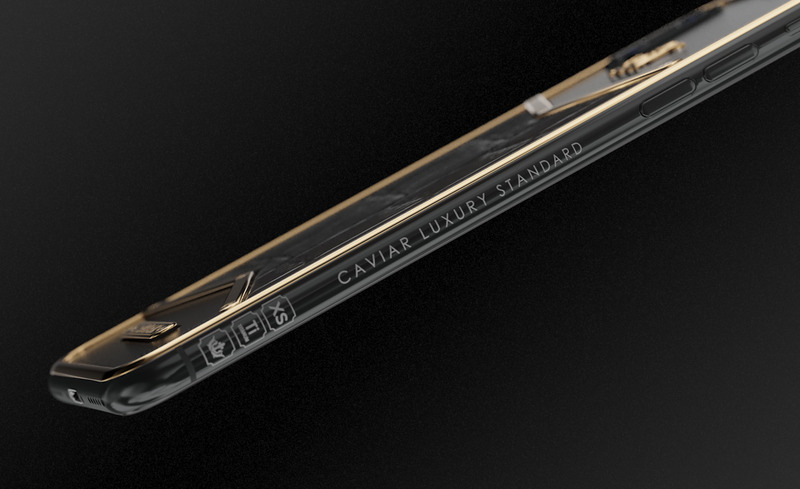 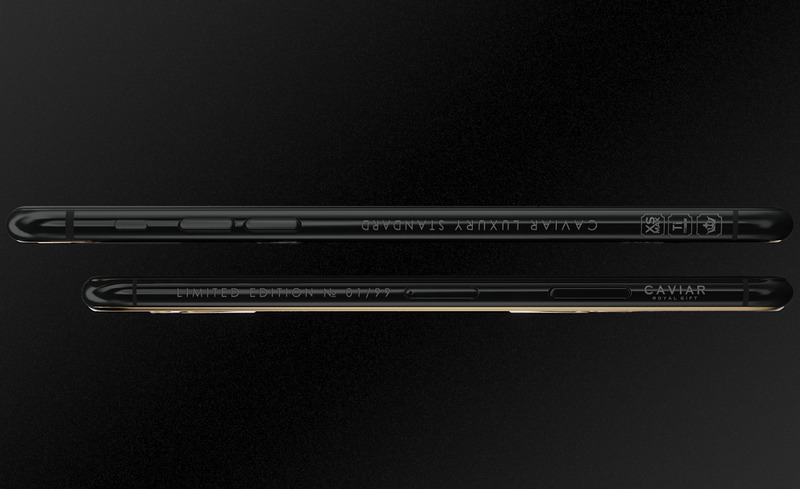 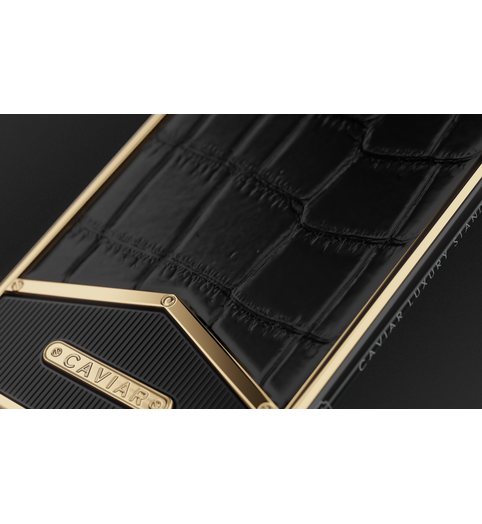 If you say about "Caviar Black & Gold X-Edition" model in one word, then this word will be "superiority". 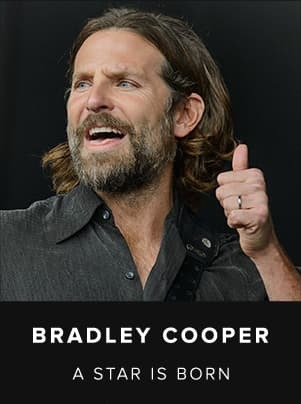 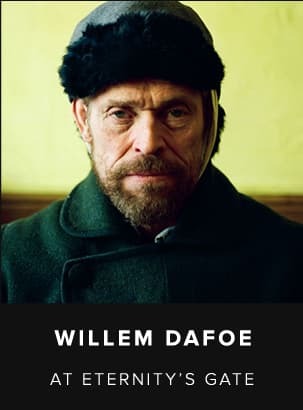 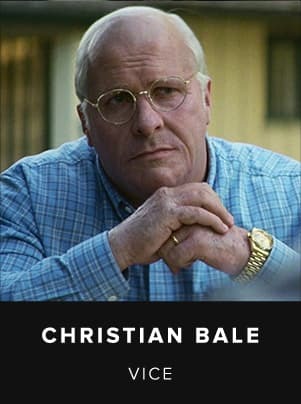 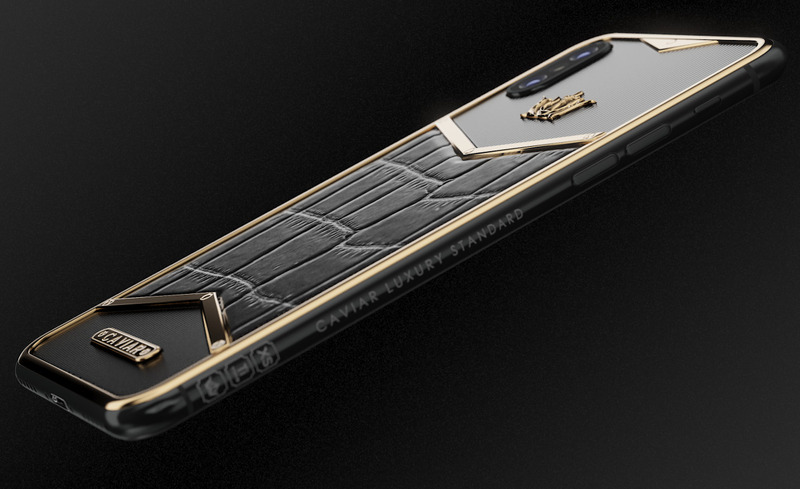 This phone is an embodied status, the material equivalent of success, a metaphor of well-being. 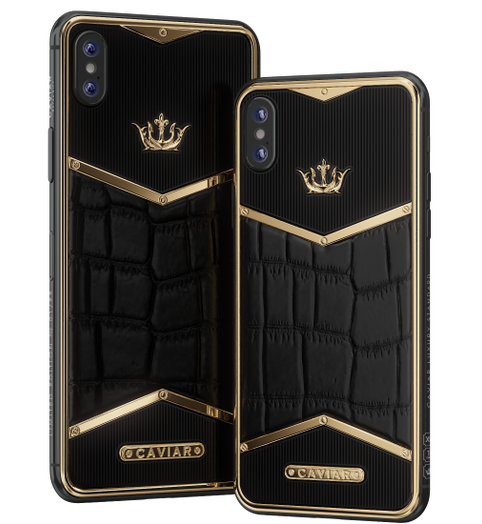 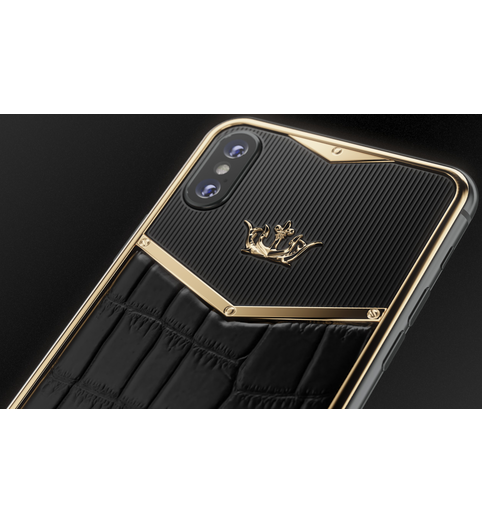 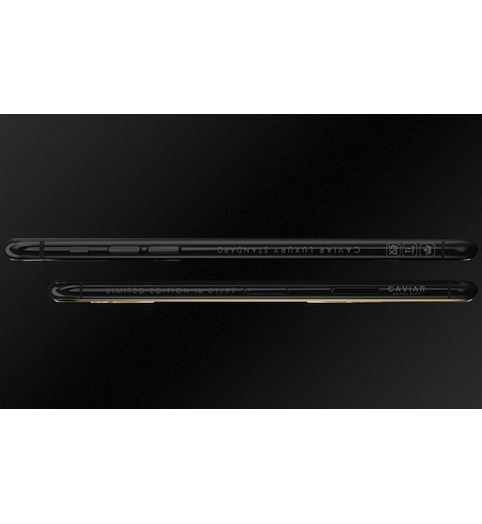 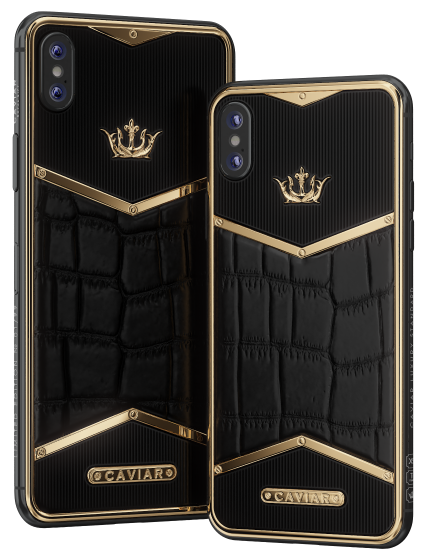 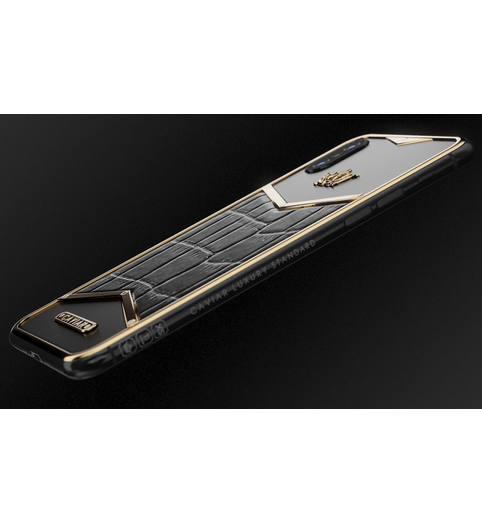 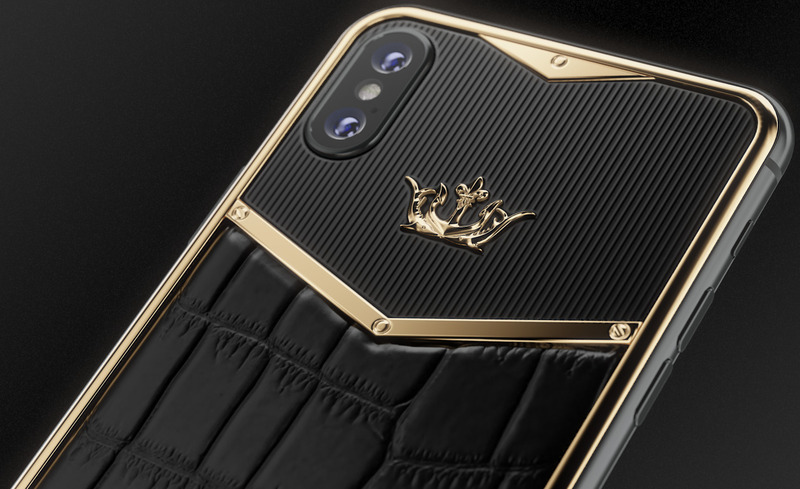 In the design of the iPhone X "Caviar Black & Gold X-Edition" black prevails, but due to the gold-plated accents and various textures, the smartphone does not look gloomy. 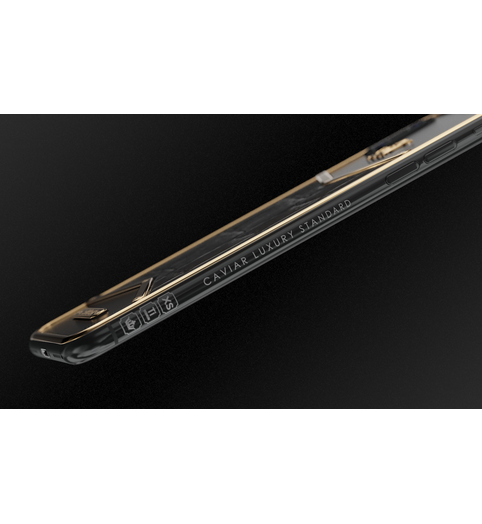 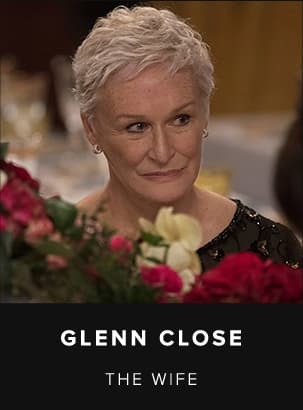 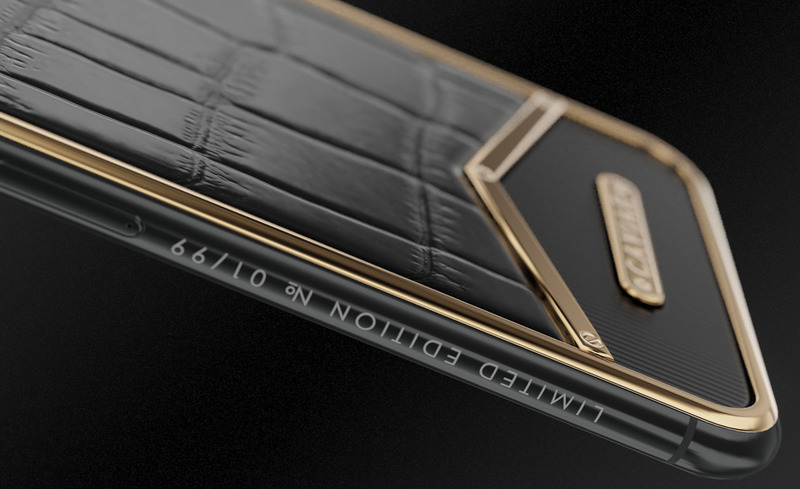 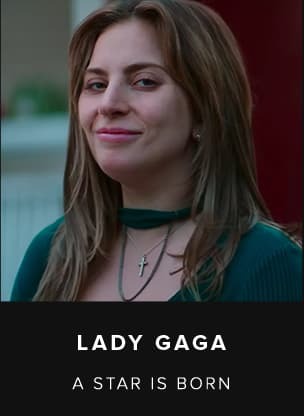 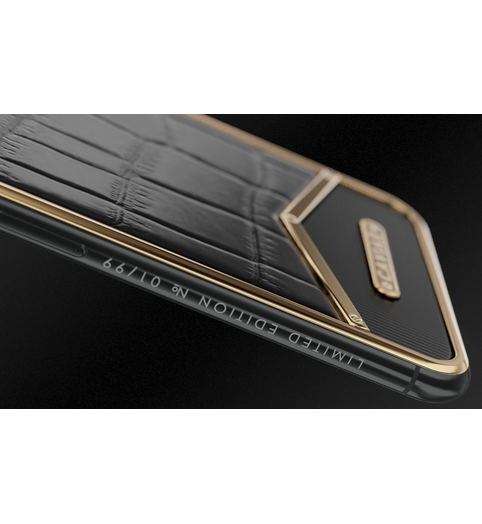 It is similar to the classic Vertu, and at the same time, the style of the Italian masters of the classic couture - Giorgio Armani and Guccio Gucci - is felt in it's style - the same calm aesthetics, adherence to traditions and at the same time - the absolute urgency, unique and accurate sense of the present time. 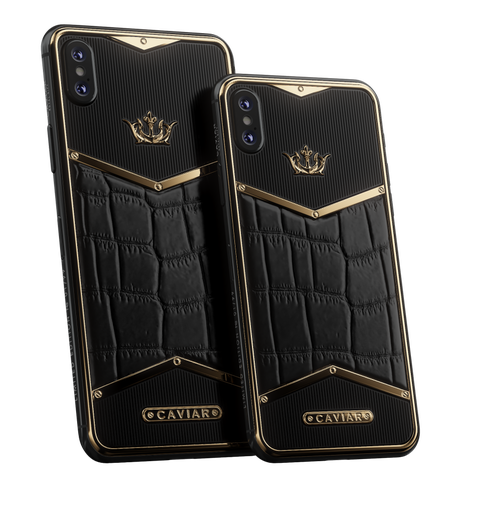 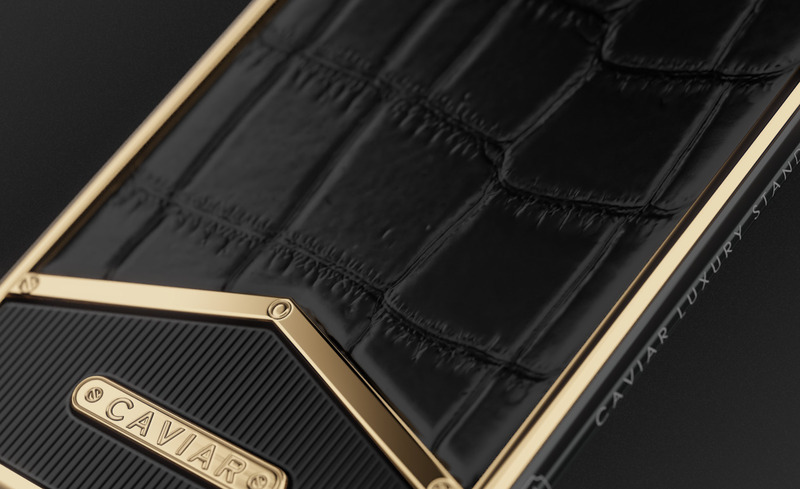 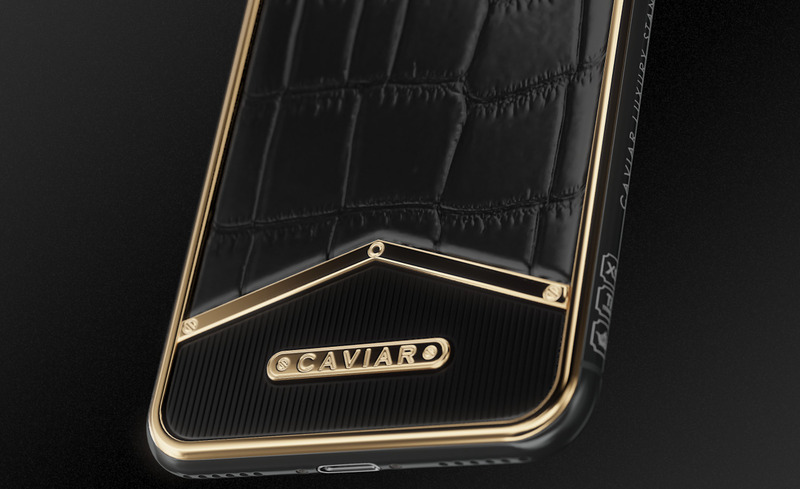 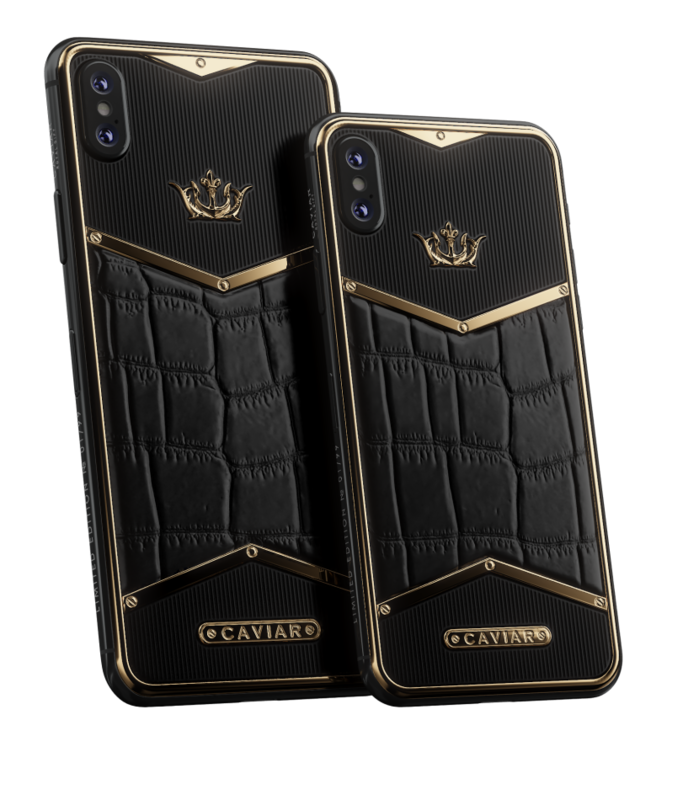 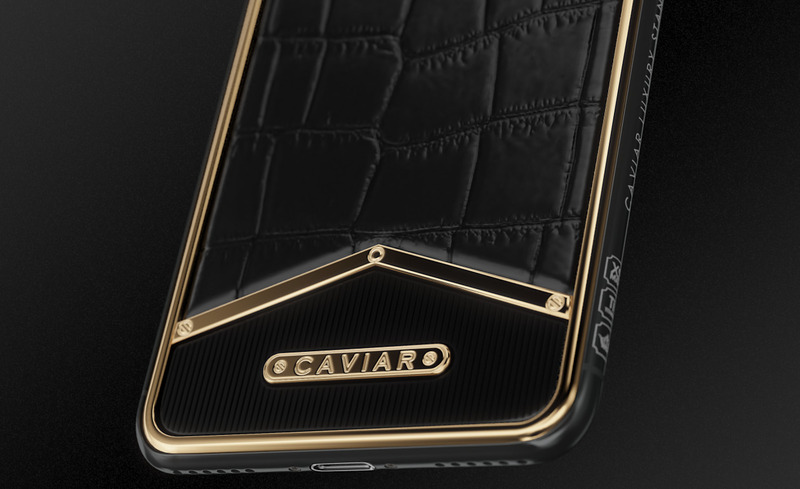 To serve as an accessory of paramount importance for a successful person is a responsible mission that we can only entrust to "Caviar Black & Gold X-Edition"